Biotechnology means using microbes or biological products like enzymes in industrial processing, particularly to induce chemical reactions. Prior to the BP oil spill of 2010, the company had experimented with using bacteria to clean up oil, and after the spill bacteria occurring naturally in the Gulf helped break down the hydrocarbons. That process, if replicated in industry, would be a type of biotechnology. Biotechnology is common in food production, accounting for the chemical reactions used in making beer, cheese, and bread. Some drugs are synthesized as microbial byproducts. 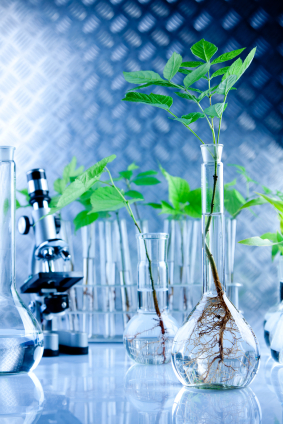 Techniques of biotechnology are commonly used in managing crops, helping plants resist drought and pests while maximizing yield. Biotechnology graduates can find positions in fields like food, pharmaceuticals, agriculture, genetics (understanding the genomes of the microbes involved is critical to controlling how the processes work), and research. There is a great deal of employment available to degree holders. The Roscoe and Frances Cox Charitable Scholarship, the Charles Dawson Moodie Memorial Scholarship, and the Frank S. Greeley Scholarship are given to students majoring in crop and soil sciences. The H. E. Goldsworthy Scholarship goes to a graduate student who breeds wheat or has some other project of significance to the Pacific Northwest’s economy. The Tracy Vincent-Sharp Memorial Scholarship is reserved for those studying food production. The Agricultural Honors Scholarship Program was established to produce qualified professionals to manage Oregon’s agriculture businesses and natural resources, giving $80,000 every year to new and continuing students. New students receive between $1,000 and $2,000 (the beginning venture scholarships) and continuing students’ awards (the continuing venture scholarships) are for $1,500. The Don Burlingham Scholarship supports junior and senior students in fields like crop and soil science and bioresource research, and it pays full in-state tuition. The Wayne and Joann Chambers Scholarship, for majors in botany and plant pathology or crop and soil sciences (among others), is given to financially needy sophomores from high schools in Oregon. The University of Wisconsin-River Falls has designated a scholarship specifically for its biotechnology majors, the Biotechnology Annual Scholarship. This award is for a junior or senior with an overall GPA of 3.2 who is involved in research in one of four areas (Biology, Chemistry, Plant & Earth Science, or Animal & Food Science). Undergraduate research or an internship in biotechnology will also be accepted if completed successfully, and any financial need will receive consideration. Montgomery College’s Biotechnology Program focuses on worker training and provides the Paul Peck Biomanufacturing Scholarships, which support students who are eligible to work in the U. S. and are pursuing a certificate in Biomanufacturing. It brings up to $500 each semester, and required paperwork includes a Free Application for Federal Student Aid (FAFSA) and the application form belonging to the Montgomery College Foundation. Community College of Allegheny County also trains biotechnology workers in its Biotechnology Workforce Collaborative Scholarship Program, which uses government grants to provide scholarships covering all educational expenses (tuition, books, fees, and laboratory supplies) for students seeking associate degrees. Those who complete the program will receive internships as lab technicians, working in local companies like the Allegheny-Singer Research Institute. The Illinois Soybean Association is currently handing out scholarships of $4,000 each to students at any of four Illinois schools (Illinois State University, Southern Illinois University Carbondale, University of Illinois, and Western Illinois University). Applicants must be juniors majoring in crop sciences like biotechnology, breeding, or plant pathology (a major in crop production is also acceptable) with a focus on soybeans. There are three main criteria: a strong academic history, financial need, and leadership ability. The Iowa Biotechnology Association distributes annual scholarships to students with the best entries at the State Science and Technology Fair of Iowa. Those enrolling at in-state schools receive $2,000, and those studying in other states get $1,000 each. The New Mexico Biotechnology and Biomedical Association has just (as of February 2013) announced its second annual scholarship intended to encourage a high school senior from New Mexico to major in a subject preparing for a career in biotechnology or the biomedical industry. The award brings $1,000, and with your application you will supply a description of your career plans, your GPA and college entrance test scores, and a referral letter.